Brand new from USN, 3XT Pump is an explosive pre-workout designed to give you the boost you need to destroy every session. 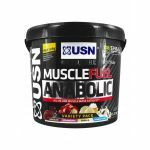 This powerful, fast absorbing pre-workout is crafted to give ultimate performance to those looking for intense pump workout sessions. 3XT Pump has been formulated to support your energy, focus, stimulation, and stamina. 3XT Pump was developed with vasodilation in mind, the widening of the blood vessels to increase blood flow and allow more oxygen to get to the muscles. This allows you to work harder for longer, especially during a tough session. Plus, thanks to added carbohydrates and sugars in 3XT Pump the pre-workout allow you to workout with a replenished glycogen store, restricting the use of protein mass as a energy source, stopping the loss of mass. Supports - This intense pre-workout has been formulated to support your energy, focus, stimulation, and stamina. Increased Blood Flow - 3XT Pump was developed with vasodilation in mind, the widening of the blood vessels to increase blood flow and allow more oxygen to get to the muscles. This allows you to work harder for longer, especially during a tough session. 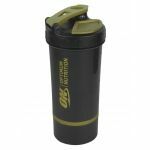 Added Carbs - Thanks to added carbohydrates and sugars in 3XT Pump the pre-workout allow you to workout with a replenished glycogen store, restricting the use of protein mass as a energy source, stopping the loss of mass. Two Great Flavours - Coming in two great flavours, there is sure to be a 3XT Pump to suit you. Who is USN 3XT Pump Pre-Workout For? USN 3XT Pump is perfect for anyone looking to take their workouts to the next level. This potent pre-workout will give you the boost you need to hit those goals quicker while improving your all round performance.